Tone on tone fashion is something that have always intrigued me visually. Being a fashion student, I have spent hours in the college library pouring over glossy magazines filled with images from the latest runway shows. And more often than not, I would come across an impeccably put together tone on tone outfit by some renowned international designer. I would ogle at the well-balanced styling of the ensemble and dream of being able to carry something remotely similar off ever! As a designer, I have never tried my hand at creating tone on tone garments. But, after all these years, as a blogger, I finally steadied myself to try out a monotone look, featuring one of my favorite colors - pink! I mean, I might have done all-blacks or all-greys at some point of time, but they don't really count as a daring tone on tone adventure....do they? 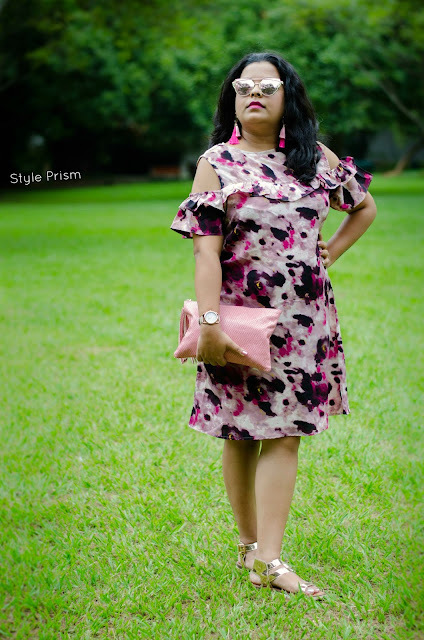 When an all-new fashion brand for curvy girls, LastInch, sent me this trendy cold-shoulder printed dress, I spent quite a few days thinking of how I can add my own twist to this chic dress. 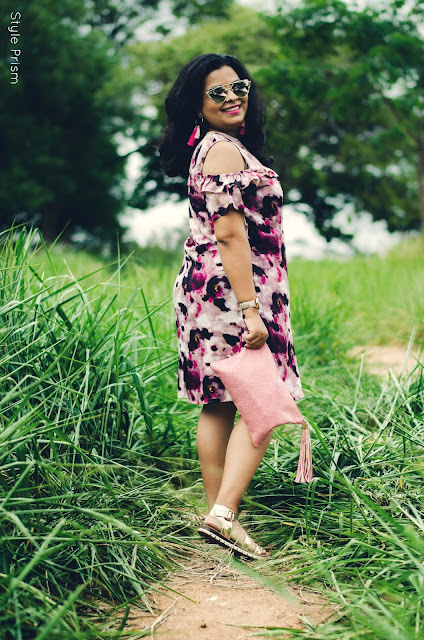 I didn't really want to pair this dress with outerwear or bottoms, as I didn't want anything taking away the focus of the pretty print and flattering cut of the dress. 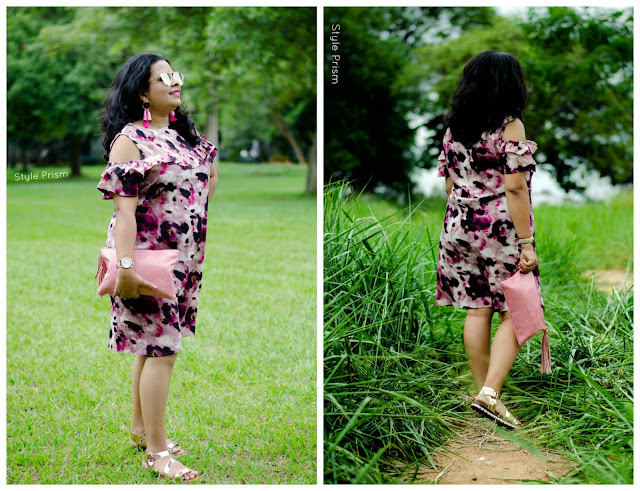 It was then that the print of the dress - which was a visually-appealing mix of different shades of pink - gave me the idea of going for a monotone look, somewhat instigated by the memory of a blog post on a similar theme on another style blog Fashion and Frappes! 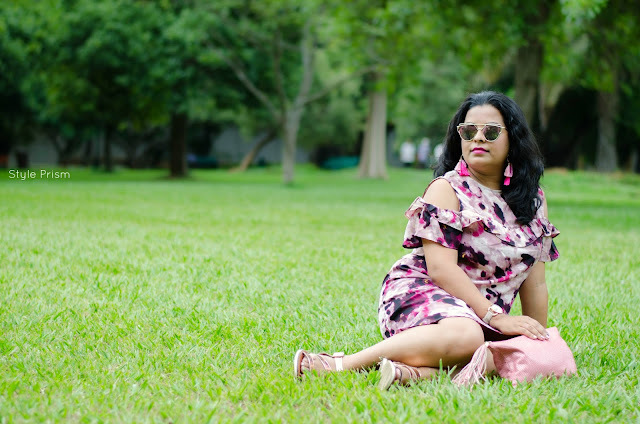 Since the dress already had all kinds of pinks on it, so why not add some more splashes of the same color for a fun & vibrant outfit? Also, you know how they say wearing tones of the same color head to toe makes you look fat? 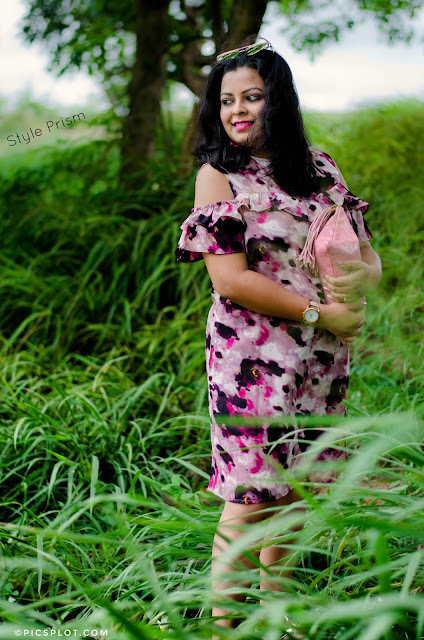 Well, what better to break that stereotype than in this dress that is by a brand that champions the cause of trendy fashion for curvy girls! I mean, why should women with the ideal body stats have all the fun? 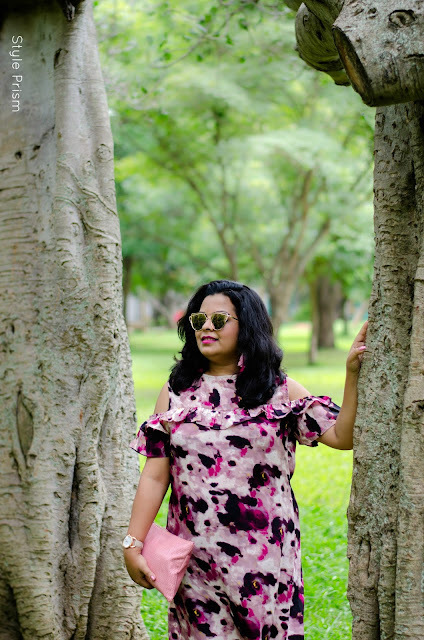 As my blogger buddy Sayantani says, "Fashion is should be for all"! 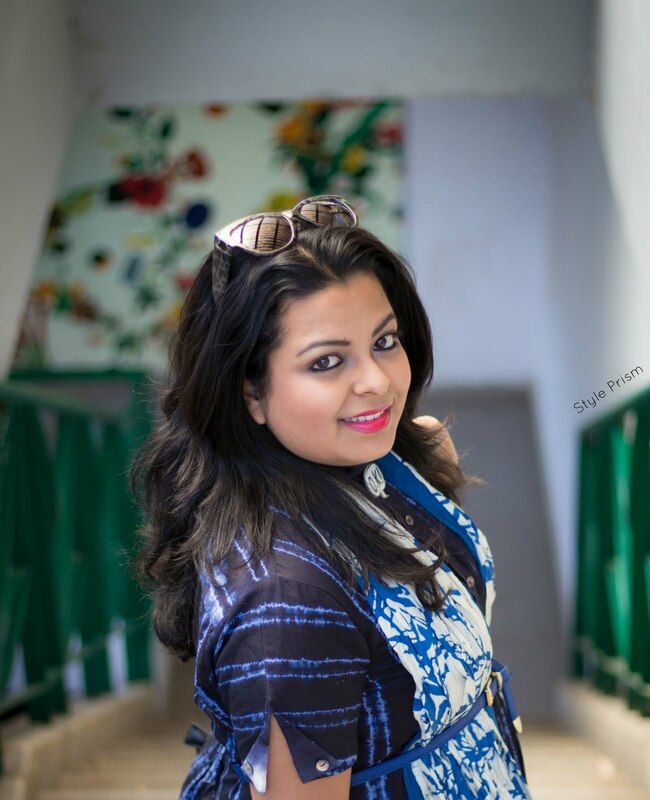 And LastInch is all for plus size women flaunting their curves in the most stylish ways possible! 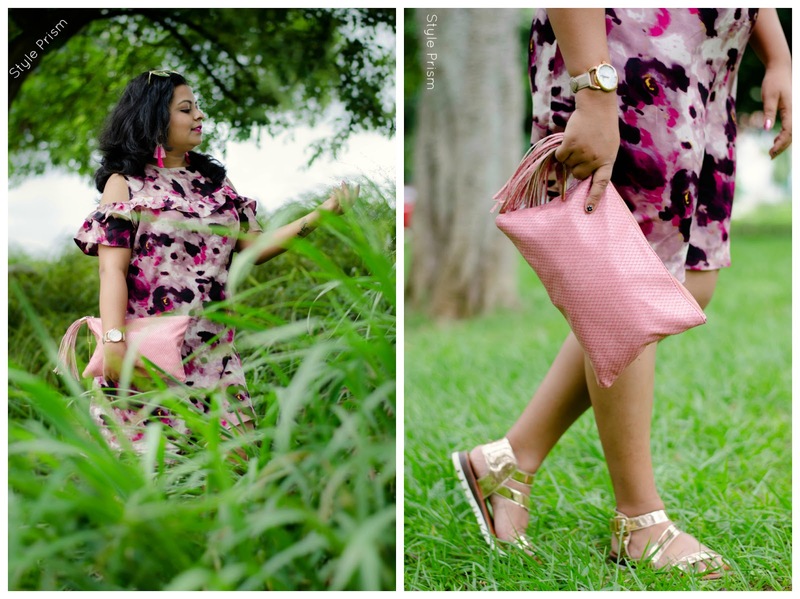 As you can see, I opted to wear the pink printed dress with pink tassel earrings, a pink oversized clutch, rose gold metallic shoes (rose gold is a pink-ish shade of gold only, right? 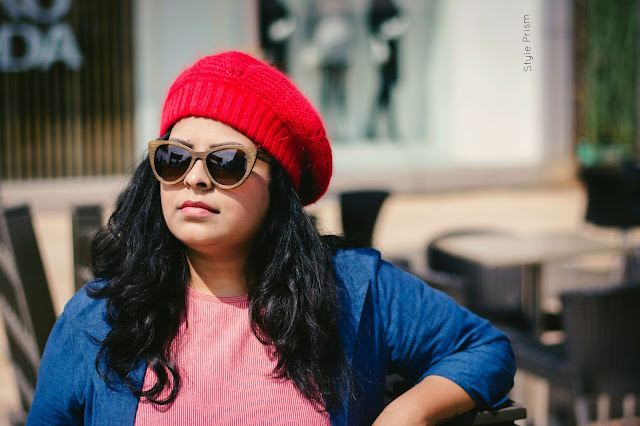 ), pink/gold reflector sunnies, and of course, pink lipstick! 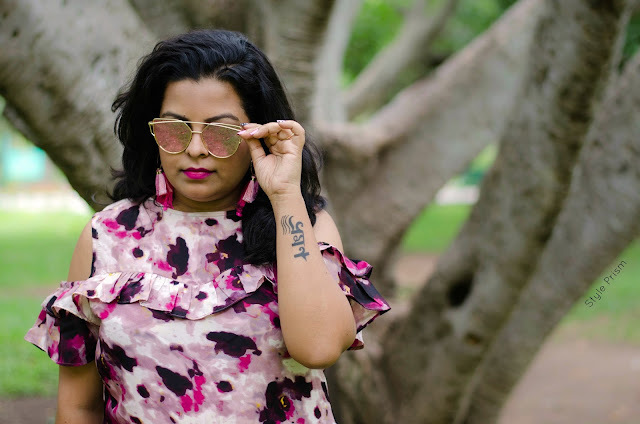 But all the shades of pink in this look complement each other instead of clashing, thus making this a harmonious sartorial style. 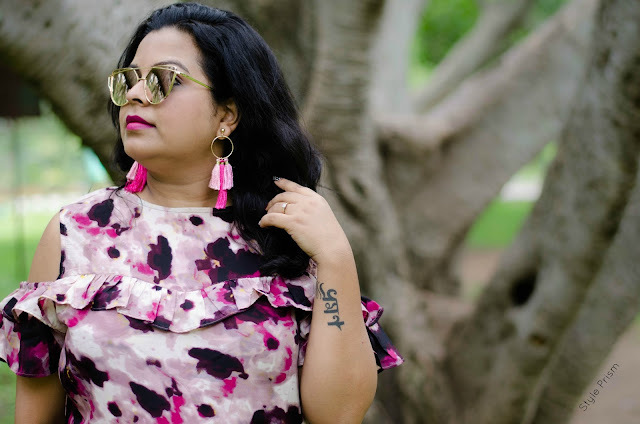 I know many of you out there might be sceptical about wearing monotone outfits, so here are a few pointers that will help you overcome your initial hesitation and go for it! Play around with patterns & textures in the same color family to create a look that's not flat or monotonous. If you are unsure, start by choosing basic pieces to create the outfit and add interest with same-toned accessories. Pulling off one shade from head to toe is expert-level stuff, so try pairing various shades of the same color or color family to keep things fun & easy. 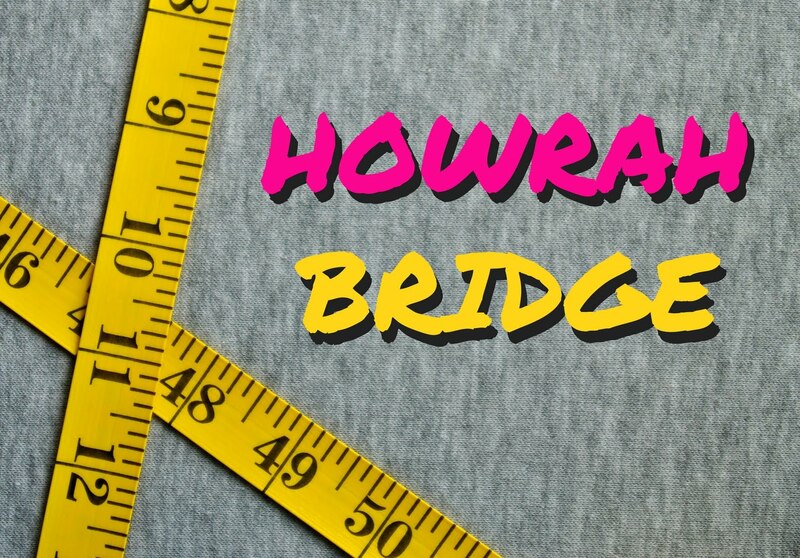 Remember, wearing monotone from head to toe makes you look taller, so let that thought pump up your confidence! Add in subtle touches of a break through your accessories - a dash of metallics or subtle neutrals can help put the whole look together. Last, but not the least, keep your make-up light so that focus stays on the outfit and doesn't stray. Hope this post inspires you to try out this fun way of dressing up! In love with the post! So pretty! !